Get your screws, Tapcons and nails here! 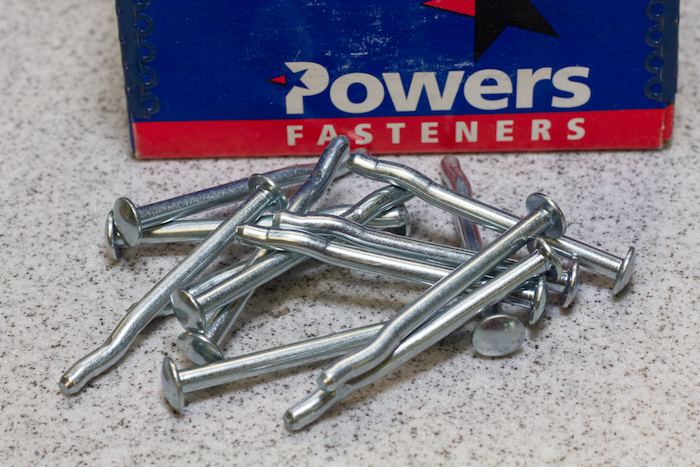 We carry screws and fasteners from top brands right in our showrooms. Gator Gypsum’s fastener products fall into four major categories: drywall screws, wood screws, Tapcon (concrete screws) and nails. These are the fasteners most applicable to our customer base, however we can special order any product you may need for your project. Within these categories are a number of different threads and heads, making our screws appropriate for a variety of uses. In general, coarse thread screws are appropriate for attaching drywall to wood studs, while fine thread screws are appropriate for attaching drywall to metal studs. Other types of screws can be used to attach wood trim to drywall. If you’re not sure which type is appropriate for your project, our knowledgeable professionals are standing by to help you understand your options. You might also look at our drywall nails as an alternative if you’re installing on wood framing, although we do not recommend nails for ceiling installations. 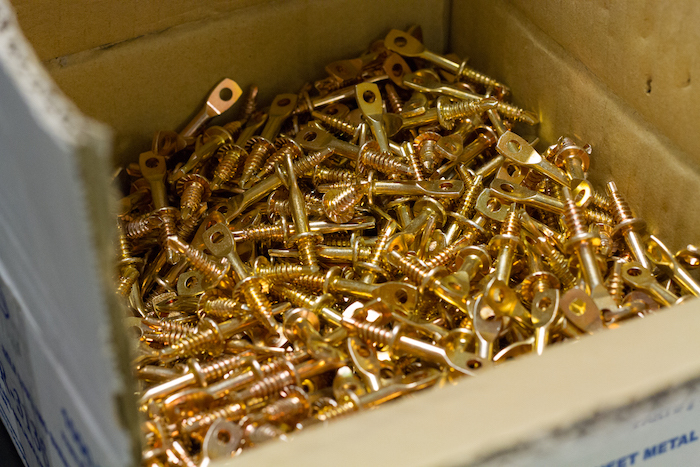 Our wood screws come in a variety of heads such as Phillips, square, bugle, flat and trim. They are made from different materials to allow for different jobsite or environmental requirements. 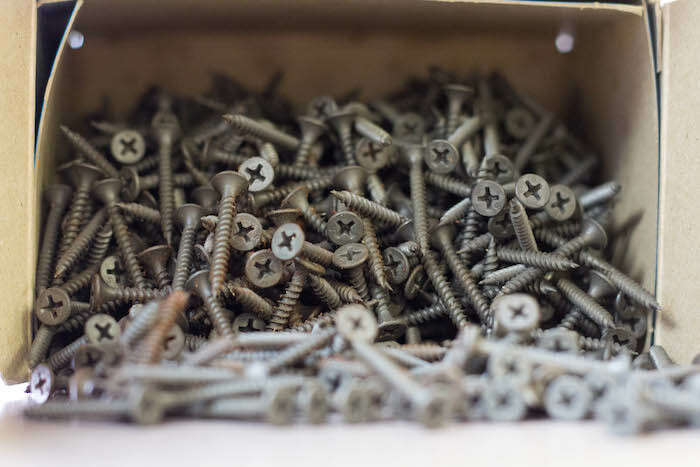 Steel (also known as carbon steel) is the most common, but wood screws can also be made of brass, stainless steel, aluminum, or a mixture of copper and silicon (silicon bronze). Tapcon products are specially designed so that they can be installed near the concrete edge. They also reduce head snapping and offer a uniform finish for your drywall. The thickness of the drywall determines the length of nail that should be used, while the application and strength requirement determines the type. If you’re unsure about which nail to purchase, stop by a showroom or give us a call to talk to a professional.